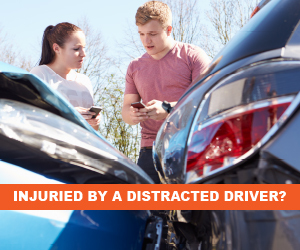 One of the most traumatizing and frustrating event a Florida driver can face is being involved in an auto accident, particularly if the accident resulted in severe injury or loss of life. National statistics indicate that someone is killed every 15 minutes from a motor vehicle accident. While there are efforts to reduce fatality rates among drivers and passengers, accidents happen, and car accident lawyer Coy H. Browning and his legal team are prepared to assist you during this difficult time. If you or someone you love has been injured in a motor vehicle accident in Florida, call Coy to discuss your legal options. Our firm has been serving Fort Walton Beach and our surrounding communities for over 14 years in all aspects of personal injury, auto accidents, and wrongful death disputes, recovering millions of dollars for our clients. We believe negligent and careless drivers who injure others should be held accountable and that our clients must be compensated for lost wages, medical bills, and long-term injuries. We provide every client with strategic and aggressive representation. We pride ourselves on successfully defending our clients, we ensure that our clients receive the best care, respect, and attention they deserve. We advise victims involved in an auto accident that Florida is a no-fault state; we encourage you to seek compensation from your car insurance provider regardless of fault. This process is referred to Personal Injury Protection or PIP insurance. Injured victims have the right to pursue personal injury claims outside of the no-fault system when an accident has caused significant and permanent injuries. Attorney Coy H. Browning is committed to helping you obtain a broad range of damages so you can focus on recovering. We understand that clients involved in a car accident may sustain debilitating or permanent injuries, including, sciatica, low back pain, neck pain, concussion, knee pain, shoulder pain,,, frozen shoulder, joint pain, and traumatic brain injury, all of which can result in extensive medical treatment and rehabilitation, as well as long periods of disability or even a permanent inability to engage in gainful employment. If you or someone you love were injured in a car accident - Call us at 850-864-4384. Our injury law firm represents clients in personal injury, auto-related accidents, and wrongful death. With two locations available, we proudly serve all cities in Northwest Florida such as Fort Walton Beach, Destin, Niceville, Navarre, Crestview, Mary Esther, and Pensacola.